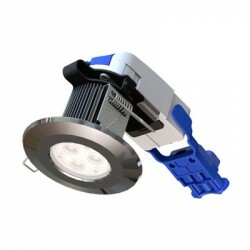 Downlights are light fixtures that can be installed into a ceiling. There will be two parts to a downlight, the trim and the housing. The trim will be the visible part of the light and the insert that is seen when looking up into the fixture. Our downlights at UK Electrical Supplies are available in a range of voltages and finishes.